Yard signs are double-sided with English and Spanish language text. 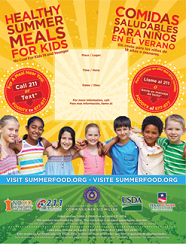 Fillable Posters Fillable posters are double sided with English and Spanish language text. Bookmarks The bookmarks come in bundled packs of 100. Outreach Order Form should be recorded in the subject line of the email.